The New York Mets might be changing their color scheme and uniforms after the upcoming MLB Season. 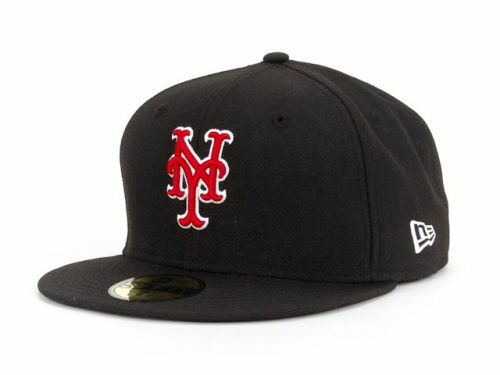 Of course, the image above wasn’t anything more than a google search titled “Odd Mets hat”, but there has been some rumbling about a shift in brand image for the Mets after the 2016 season, due to the fact that the “new” pinstripe jerseys have been a bust sales-wise, but look great on-field. Paul Lukas’ UniWatch.com elaborates on these issues here. I have to say, this one doesn’t feel right. 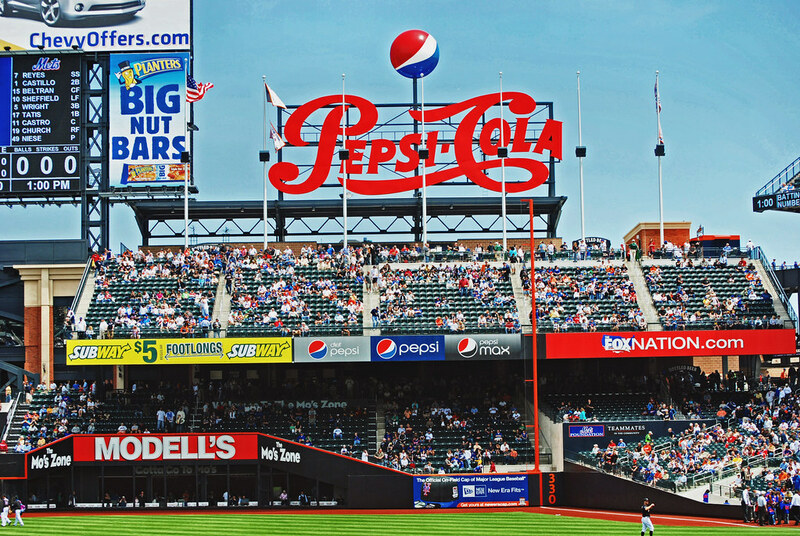 The infamous “Pepsi-Cola” sign is going to be leaving, and the naming rights to the right field porch (that doesn’t sound right) will change in 2016. This isn’t the only section of Citi Field undergoing a name change. Caesars, now bankrupt, has lost the right to it’s club on the excelsior level, which also means that the Caesars Box and Caesars Gold sections will also be changing. During the Cricket Match, the Caesars level seats were called “Excelsior Box” and “Excelsior Gold”. The Pepsi Porch, however, was called the Pepsi Porch during the Cricket match. Now, it doesn’t matter what the sections were called during a meaningless foreign game, but it does show us that this Pepsi news wasn’t planned. Besides those five, I’ve also heard ones like PartyCity Porch, and the Delta SkyDeck. However, since Party City and Delta already hold naming rights to existing areas at Citi, I doubt those two would ever happen.